The Harvard Business Review sums it up: Meditation increases productivity while reducing anxiety and mental stress. Scientists have finally answered many questions about what happens during mindful, meditative states. The brain is calmer, more focused, more attentive and more in control, characteristics of value to leaders, executives, students and anyone striving for personal success. 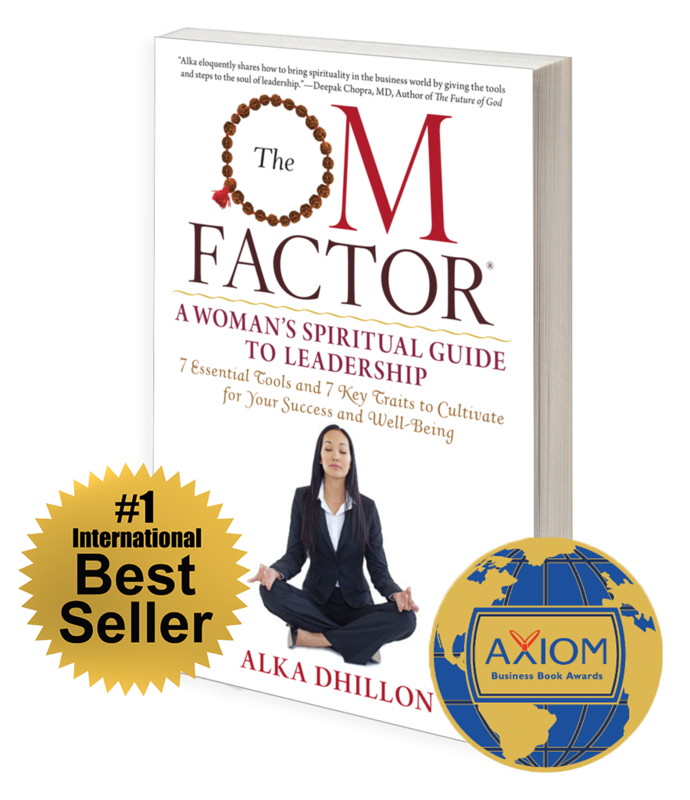 THE OM FACTOR®: A Woman’s Spiritual Guide to Leadership – 7 Essential Tools and 7 Key Traits to Cultivate for Your Success and Well-Being by Alka Dhillon (Select Books; May 5, 2015; $16.95) shapes the benefits of meditation and other tools for use by women in their careers, and all aspects of their lives.